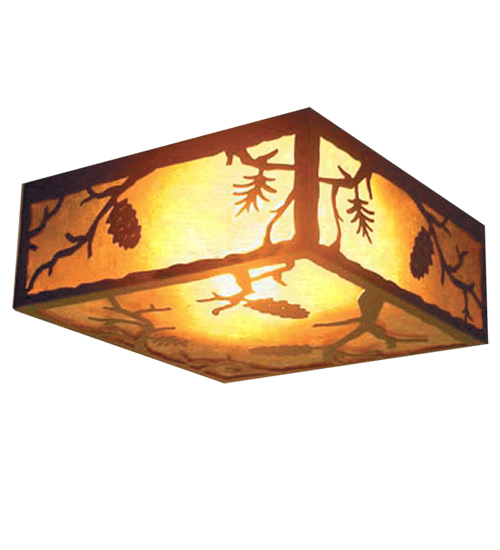 Description: Pinecones and Pine leaves and branches celebrate the beauty of Mother Nature. Cajun Spice finished accents match the frame. The hardware is enhanced with an Amber Mica shade. Handcrafted by highly skilled artisans in our 180,000 square foot manufacturing facility in Yorkville, New York. Custom colors, styles and sizes are available. UL and cUL listed for damp and dry locations.